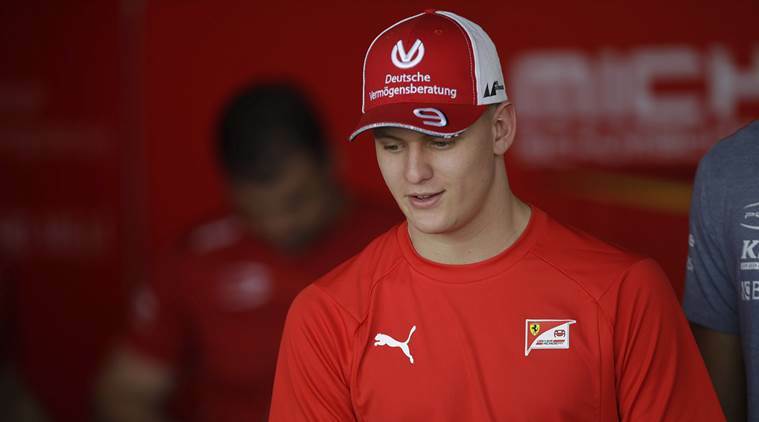 Michael Schumacher’s son Mick has earned his Ferrari Formula One test and should be allowed the space to get on and show what he can do, four-times world champion Sebastian Vettel said on Thursday. Vettel will be sharing Ferrari testing duties with the 20-year-old at Bahrain’s Sakhir circuit next week after the second grand prix of the season. “Obviously, with the name and being the son of Michael, there’s certainly some links and expectations,” said the German, who grew up idolising his older compatriot and was given the nickname ‘Baby Schumi’ early in his career. Mick Schumacher, who makes his Formula Two debut in Bahrain this weekend after winning last year’s European Formula Three championship, told a crowded media session that he was not about to get carried away. A member of Ferrari’s young driver academy, the son of seven-times world champion Michael will also test for Alfa Romeo. “I don’t really focus on that at the moment,” he told reporters when asked about his test schedule. Schumacher’s father spent 11 seasons at Ferrari, winning five of his record seven championships with them between 2000-04. The German, who hasn’t been seen in public since suffering serious head injuries in a skiing accident in 2013, is also the most successful driver of all time with a record 91 wins. Mick, who has yet to drive a modern-day Formula One car, said he was happy with who he was. Alfa Romeo driver and Ferrari-backed Italian Antonio Giovinazzi said Schumacher should just make the most of the moment. “The first day in an F1 car will never happen again, so just enjoy,” he said.